Bessboro House and its demesne has been a therapeutic campus for many years under the auspices of the Sacred Heart Sisters, who still live in the 18th century house. A Maternity Hospital and Chapel were built in the 1920s, and these two buildings are now the site of facilities for children and young people with mental health difficulties. 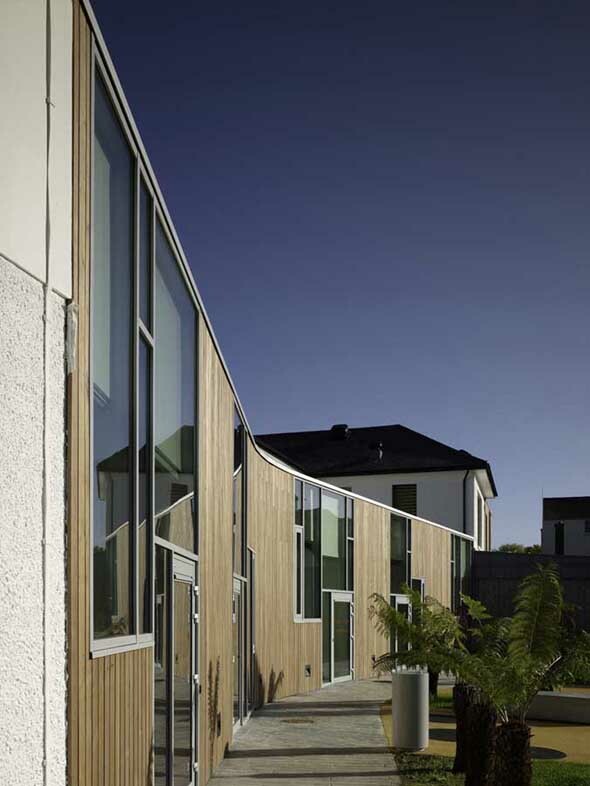 The project seeks -by engulfing the older buildings – to change their nature, reversing patterns of use and expectation. 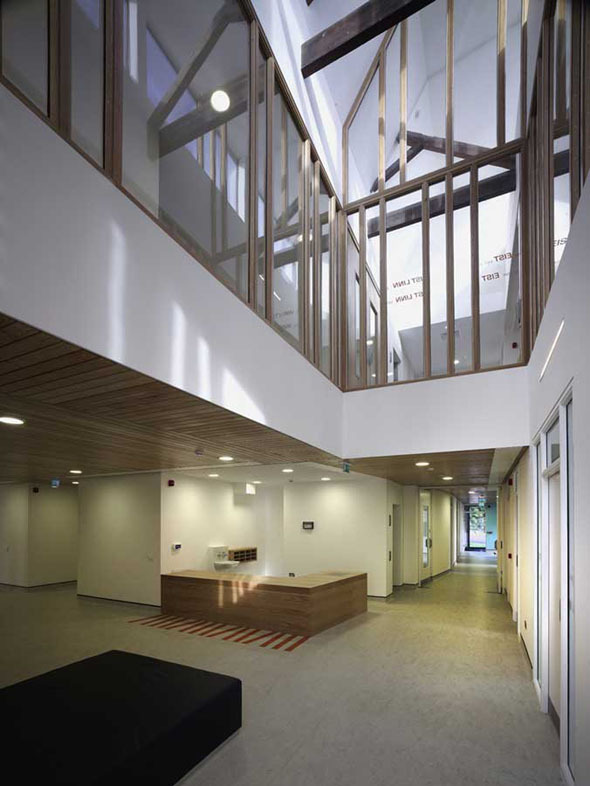 There is a new entrance block on the north side and a sweep of new rooms around a garden on the south,linking the former chapel and the old hospital building with a strong canopy. 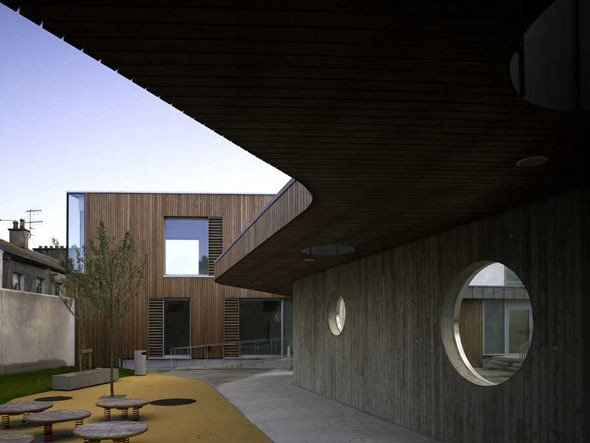 New areas are clad in timber with zinc roofs, roof lights and large areas of glazing bringing light deep into the plans. 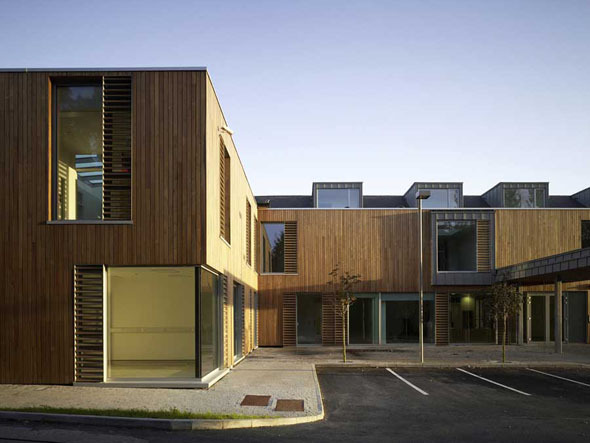 Twenty In-Patient bedrooms, including intensive care facilities, are located at first floor; therapy/treatment rooms and social areas are at ground level, stretching into the garden. 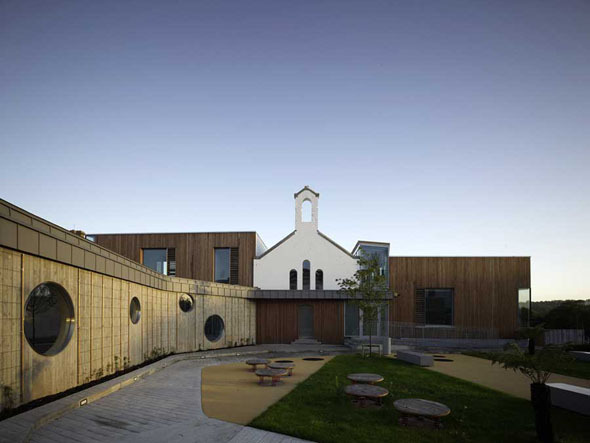 Across the open playspace, the former chapel becomes a gym, its form engulfed by new classrooms,to allow young people who are in the unit for a period of a few months to follow normal educational programmes.